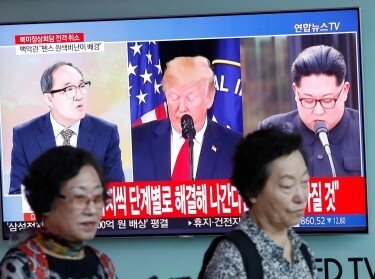 Recent statements by U.S. leaders regarding the presumably-upcoming Singapore summit between President Trump and North Korea’s Kim Jong-un have led to a flurry of analogies between the present case and that of Muammar Qaddafi’s regime in Libya, which abandoned its longstanding quest to develop nuclear weapons in 2003 and was overthrown in 2011 following a Western military intervention. In reality, the two situations have little in common, and looking to Libya as a precedent for either denuclearization or regime change in North Korea has the potential to lead to confusion and disappointment. The most fundamental contrast between the cases is that Libya never possessed nuclear weapons, though readers of articles such as a recent BBC news story saying that Qaddafi “agreed to give up nuclear weapons in 2003” might easily imagine that it did. Libya pursued its weapons of mass destruction programs enthusiastically for years, but when it finally succumbed to the pressure of Western sanctions it was still far from becoming a nuclear power. Qaddafi thus abandoned his WMD ambitions in exchange for the benefits of restoring ties with the West, but he was not sacrificing either the protection or the status associated with a nuclear arsenal, and the deal did not pave the way for the destruction of his regime by Libyan rebels and NATO airpower eight years later. In fact, a number of states have abandoned once-active nuclear weapons programs in the past 70 years, including Canada, Sweden, Brazil, Egypt, and South Korea. However, only one nation has actually developed and then given up nuclear weapons: South Africa, which decided to dismantle its small arsenal in 1989. In addition, Ukraine, Belarus, and Kazakhstan inherited possession of Soviet nuclear weapons (but not the ability to launch them) when the USSR dissolved, and later returned the weapons to Russia. It is notable that none of these countries perceived substantial external threats against which nuclear weapons would provide security, although at least one observer at the time argued that this state of affairs was unlikely to last. Thus, North Korea giving up its nuclear arsenal after sacrificing so much to create it would be unprecedented. 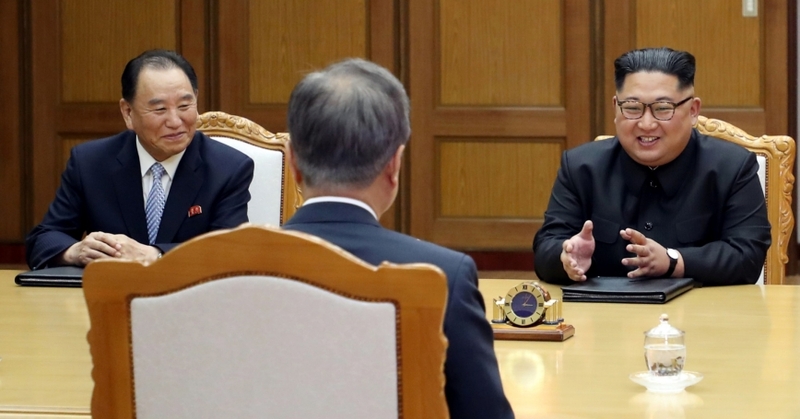 When picturing the rewards and guarantees that might be sufficient to persuade Kim that doing so would be advantageous, U.S. leaders should not expect Libya to be a guide. Nor should anyone imagine that a military effort to disarm or destroy the North Korean regime if it refuses to denuclearize would resemble the campaign that overthrew Qaddafi. In 2011, during the heady early months of the Arab Spring, mostly-Western airpower protected Libyan rebels from being crushed by regime forces and then enabled them to win the ensuing civil war in a seven-month effort that cost the United States no lives and a few billion dollars. Libya was a small country with a relatively fragile regime facing considerable internal opposition, and it had virtually no ability to strike back at its foreign enemies. 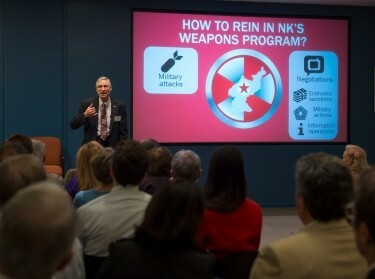 In contrast, North Korea’s population is roughly as large as Afghanistan’s, its regime is metaphorically well entrenched and its huge army is literally so, and it has the ability to inflict enormous damage beyond its borders with either conventional or nuclear weapons even without being able to reach the continental United States with a ballistic missile. Where, then, should we look for a better analogy for the denuclearization effort with North Korea? The best precedent would be the 2015 nuclear deal that froze Iran’s nuclear weapons program, from which the United States officially withdrew earlier this month. Unlike Libya, Iran was on a path to building a significant nuclear arsenal, and like North Korea it had good reason to think that doing so might provide insurance against superpower attack. Negotiating the Iran nuclear deal was a long process in which both sides had to settle for less than they wanted in order to strike a deal. 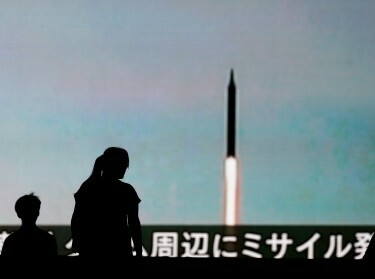 To expect that North Korea will be more willing to sacrifice a real nuclear arsenal than Iran was to relinquish the prospect of a hypothetical one might be naïve. A version of this commentary was published June 1, 2018 by Reuters. Previous Blog PostAssessing Transatlantic Fallout After the U.S. Withdrawal from the Iran Nuclear DealNext Blog PostHow Do You Define Terrorism?